As the world unites to fight climate change, more and more countries are turning to carbon pricing as a means to reduce their greenhouse gas emissions. By putting a price on carbon, governments can correct the market’s failure to account for the climate costs of burning fossil fuels; in so doing, carbon pricing mechanisms encourage polluters to find cleaner, lower-carbon processes. Some countries have adopted emissions trading systems and carbon taxes to establish an explicit price on carbon, while others have turned to nonmarket regulatory policies that establish an implicit price on each ton of pollution. It is reasonable to expect these trends to continue as nations endeavor to fulfill the national and global goals to curb climate change that they established through the Paris agreement in 2015. The inevitable shift to a low-carbon future presents the world with both transition risks and transition opportunities: some projects, technologies, and investments will become increasingly costly or noncompetitive, while others will become increasingly economical. Private-sector actors are taking notice. 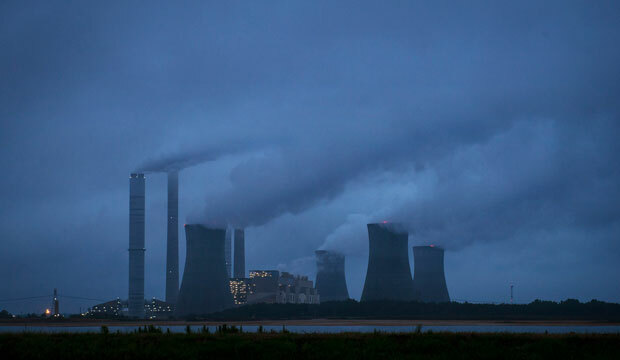 A growing number of investors, companies, and business-minded stakeholders are concerned about “carbon asset risk”—the financial risk carried by fossil fuel-intensive assets that may become stranded and lose their value or viability in a world with stricter limits on greenhouse gas emissions. As fiscally rational agents, companies are beginning to anticipate a price on carbon as they evaluate the financial viability of potential long-term projects, even if they do not operate in a region governed by an explicit carbon pricing instrument. Many companies assume that a carbon price exists to help guide long-term capital investment decisions, particularly for investments involving fossil fuels. By evaluating these investments through the lens of a carbon price, companies can avoid stranded assets that they would have to retire before the end of their useful lives and mark as a loss on their balance sheets. This practice—known in the private sector as shadow carbon pricing and referred to generally in this report as proxy carbon pricing—helps soften these companies’ landings in the impending low-carbon economy. State and federal governments do not have investors. However, they do represent taxpayers and ratepayers who may have to shoulder the burden of energy infrastructure decisions and other investments of public dollars that do not make sense in a world that needs to decarbonize rapidly. Officials responsible for evaluating the environmental and economic costs and benefits of government action, such as a decision to approve a new oil pipeline or power plant, have the responsibility to consider how tougher carbon limits could affect the viability of projects and investments under consideration. A proxy carbon price is one instrument that can inform government decision-making and provide a framework within which to determine whether a particular choice makes long-term climate sense. State and federal governments have two primary motivations to use a proxy carbon price to evaluate the long-term financial viability of their investments and decisions in a carbon-constrained world. First, government officials should be motivated by fiscal prudence and the need to prepare the United States and its local economies for the global pivot to clean energy. If a fossil fuel investment becomes stranded due to carbon constraints in the future, it will do more than harm the investor’s bottom line. Unwise commitments to carbon-intensive energy infrastructure could leave the broader U.S. economy unable to adapt quickly in a world that needs to limit warming to 2 degrees Celsius above preindustrial levels—the generally recognized ceiling above which climate change could be catastrophic. Second, government actors should be motivated by the commitment to propel the low-carbon shift domestically. Infrastructure projects—such as pipelines, power plants, and fossil fuel export terminals—have lifetimes that measure in decades. Given that such projects drive climate change cumulatively rather than on an individual basis, government officials need a tool that evaluates potential projects in the context of their consistency with a low-carbon future rather than solely in the context of their individual climate effects. A proxy carbon price could be one such tool. Government officials could apply a proxy price to a proposed project to see whether it would be financially viable in a world in which the price of fossil fuels includes the costs of climate change. The Center for American Progress proposes that federal agencies and state governments adopt the private-sector practice of proxy carbon pricing when evaluating long-term government decisions and investments. This practice would apply to decision-making with respect to both direct government action, such as investment in transportation infrastructure, and indirect government action, such as permitting. This report focuses on energy infrastructure permitting and how a proxy carbon price could inform government decisions about the U.S. network of pipelines, power plants, transmission lines, and other facilities that transport and generate energy. Specifically, the report recommends that Congress enact legislation to require all federal agencies to use a proxy carbon price when reviewing permit applications for energy infrastructure. In the absence of legislation, the Obama administration or its successor should identify existing authorities and direct federal agencies to employ proxy carbon pricing. The report also recommends that state agencies, such as public utility commissions, leverage existing authorities that would allow them to use a proxy price when evaluating the long-term viability of potential projects. The U.S. public sector could learn from the private sector’s movement toward proxy pricing as a risk mitigation tool. In the absence of an explicit price on carbon, public officials need to think about how to assess the potential climate risks posed by major government investments and actions, such as approval of energy infrastructure projects. Proxy carbon pricing can help inform these decisions and shed light on their potential long-term climate implications. Alison Cassady is the Director of Domestic Energy Policy at the Center for American Progress, where she focuses on federal climate policy and carbon pricing. Gwynne Taraska is the Associate Director of Energy Policy at the Center, where she works on U.S. and international climate and energy policy.